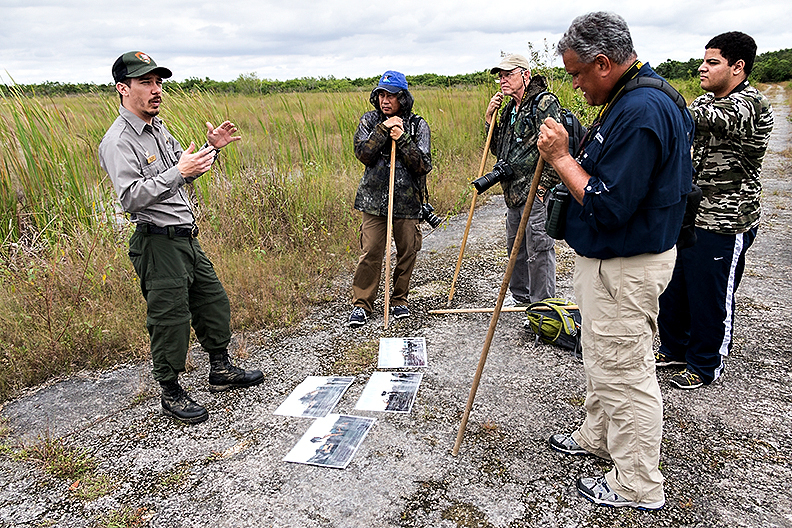 Saturday's Ranger led field trip ended up not being a swamp walk. 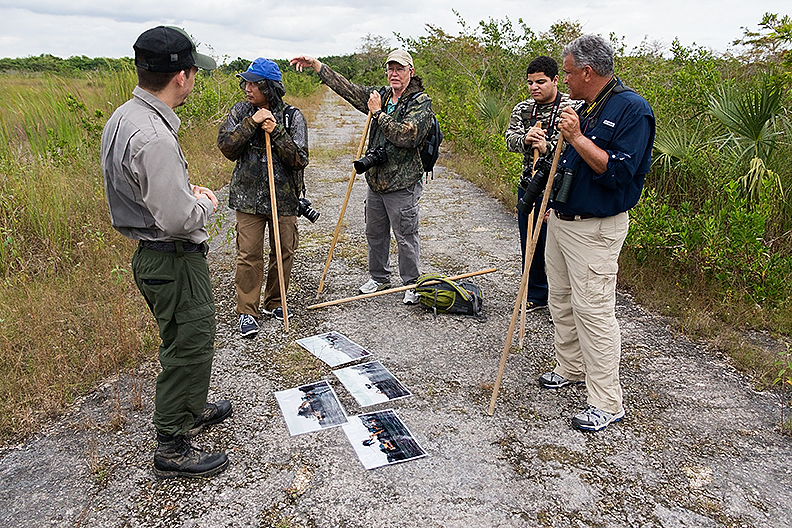 Due to the low turnout we opted for an interpretive walk for the first 3/4 of a mile down the Old Ingraham Highway. This turned out to be a good choice. 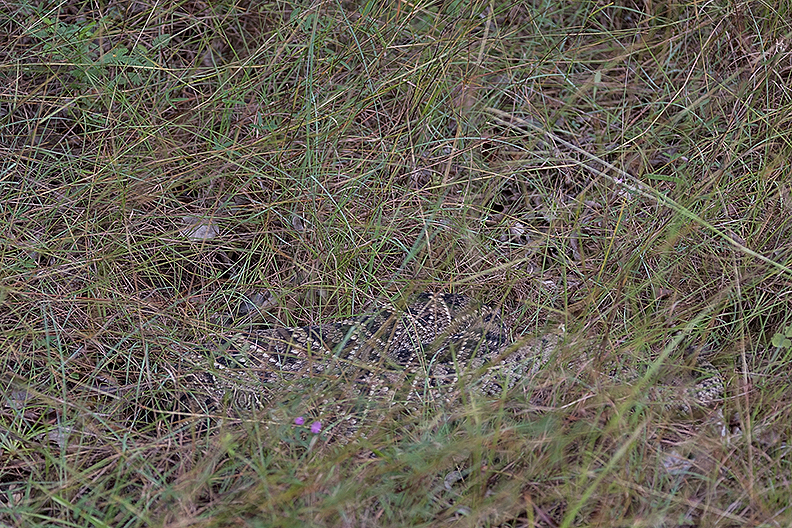 Along with the interesting information provided by Ranger Rudy Beotegui we had the rare opportunity to see not 1 or 2, but 3 Diamond Back Rattle Snakes. 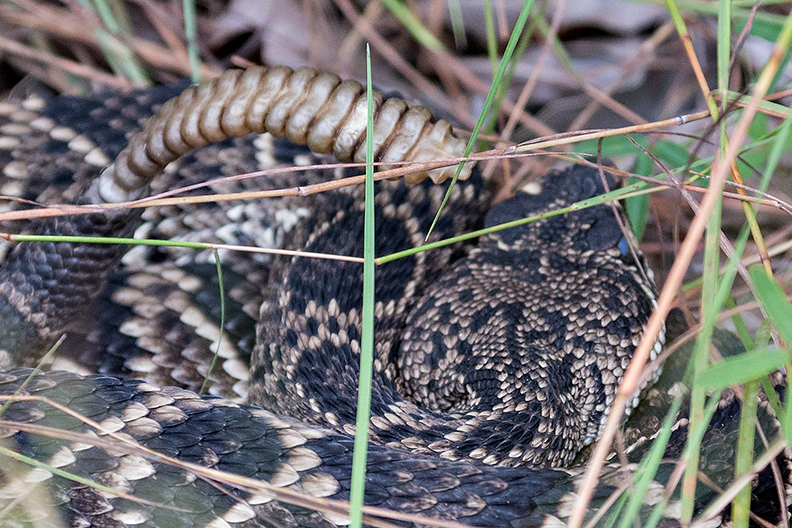 Rattle snakes are normally solitary animals, but can be found together during breeding season. 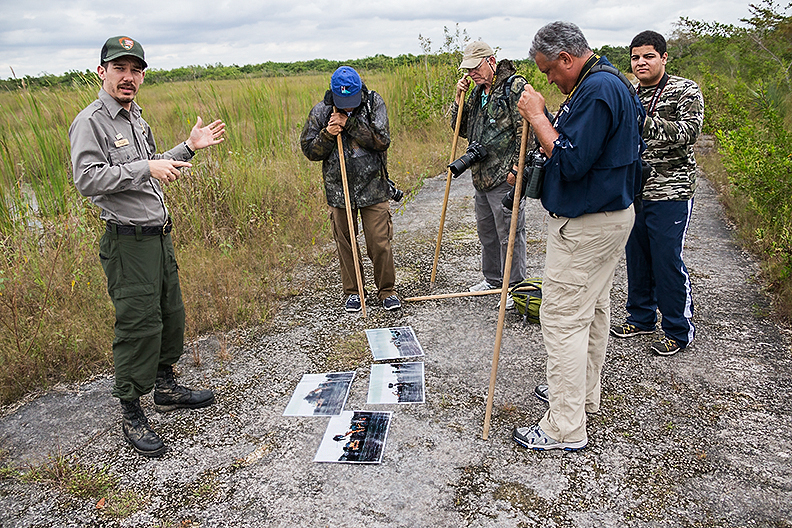 This field trip illustrated the point, that you never know what you will find when you visit the Everglades.